During the summer of 1925, Metro Goldwyn advertised Victor Seastrom's "Tower of Lies" with Norma Shearer and Lon Chaney as "Selma Lagerlof's world prize novel with the outstanding personalities of 'He Who Gets Slapped'". Using the front and inside covers of Moving Picture World Magazine, it also advertised "Bardleys the Magnificient", starring John Gilbert as a "colossal production in full technicolor", "Lights of Old Broadway", starring Marion Davies and directed by Monta Bell, and advertised two Cosmolitan Productions, The Temptress, "backed by intensive national publicity promotions of Cosmopolitan Productions, and "The Torrent"- "with Aileen Pringle in a cast of big names". 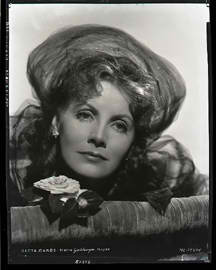 To readers beginning with the recent biography by Robert Dance, Pringle was "displaced" by Greta Garbo. 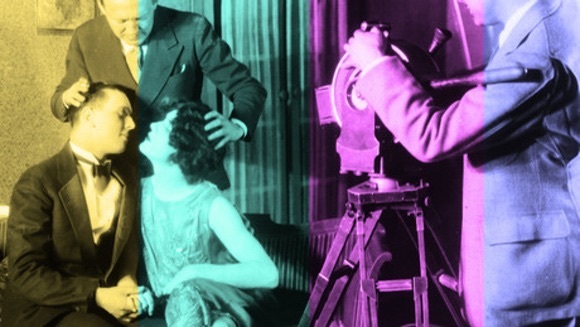 Author Lucy Fischer, in the paper Greta Garbo and Silent Cinema:The Actress as Art Deco Icon In no way establishes an Art Deco style of filmmaking as opposed to an art nouveau style of painting, although the elements of a modernity, including thematic elements, are certainly present. Fischer sees the film “The Torrent”, essentially a jazz age film and a precursor to the upcoming surprise of precode, as fluctuating between stylistic flourishes. 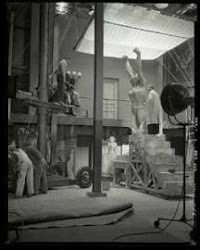 These for Fischer are not inserted inadvertently, but at “heightened moments of the text” and the first “glamour shot” of Greta Garbo “inhabits a modernist space”. It is almost as if the author is implying that the screenwriter worked more closely with the wardrobe department than the scenario department while making her point. It would seem that Fischer is analyzing the shot structure of the film and its camera movement, the photoplay, by changes in what Greta Garbo is wearing rather than by evaluating how the spectator is drawn to the screen by a medium that after art nouveau, Dadaism and ante-bellum needed Art Deco to commercialize in a world apart from Sarah Bernhardt and the poster iconography of Alphonse Mucha. But Fischer brings a point of departure as the subculture of early surrealism lacked popularity in Hollywood- is Art Deco more than set and costume design and is there a corresponding style of acting, if not directing for the “lost generation”? For a moment, let’s allow our look at Greta Garboin the film be a collection of shots of the new fashions within modernity and transfer theory written about one genre, the Silent Western to another- with the hope of providing a key to her volume on the iconography of Silent Western Film, the content of its mise en scene and typical motifs, author Nanna Verhoeff, in her volume “The West in Early Cinema, before quoting Jacques Derrida,claims to have coined the phrase “archival poetics” as compared and contrasted to other semiotics systems, to narrative poetics or to poetics of gender, much as a “landscape poetics” emerged in the reviews of the silent films of Mauritz Stiller and Victor Sjostrom. The author highlights the content of Western Silent films by searchingly for their common physical elements, which presumably at times include Sjostrom’s masterpieces “The Wind” and at times, owing to its historical context, would not. The author writes, “I am to reflect on the connections between objects, discursive systems within which they can be understood and the cultural life in the present within which such ‘readability’ in terms of poetics’ etymological sense of making. The current interest in hypertextual discursive organization will serve as a heuretical metaphor that will help articulate an archival poetics useful for cultural analysis of early screen culture, in other words screening the past.” Needless to say this alone doesn’t place Greta Garbo as an Art Deco figurehead and the volume written by Verhoeff consists of analysis of early silent film independent of the work of Greta Garbo but it places an archival value on the screen prescence of Greta Garbo contingent on the technology of the period and on audience reception that dates genres as having a chronological beginning when they are to emerge- Garbo’s insistence she did not belong to the Vamp iconography. If a dress worn by Garbo, then an article in a time capsule. To see the effect of costume design clearly, one might look at Elizabeth Taylor in the film Cleopatra, where it seems that every cut to a new scene includes Taylor wearing a different gown, adding a aesthetic value to the silence within each scene through numerous visual additions to mine en scene through numerous costume changes. 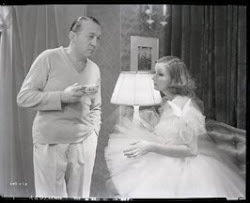 When refilmed, her hollywood screentest would by filmed by Mauritz Stiller and purportedly spliced into the rushes of Torrent and was then, in turn, seen by Monta Bell, who insisted the script be given to Garbo. 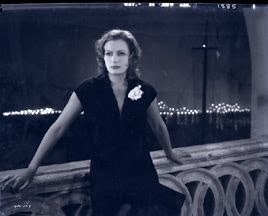 Greta Garbo's second screentest had been photographed by Henrik Sartov, who later explained that the earlier test had lacked proper lighting and that a lens he had devised had allowed him to articulate depth while filming her. Cameraman William Daniels had photographed the earlier test. Lillian Gish relates a conversation between her and Sartov where Gish asked him if he could photograph a screentest of Garbo, "Garbo's temperment reflected the rain and gloom of the long, dark Scandinavian winters." 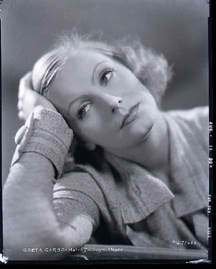 At first Garbo was reluctant to accept a role in the film "The Torrent". Although it was a large role that had been considered for Norma Shearer, whom Bell had directed in the film After Midnight (1921). Mauritz Stiller advised, "It can lead to better parts later." to which Garbo replied, "How can I take direction from someone I don't know?". John Bainbridge writes that in the beginning Garbo spent most of her time with Mauritz Stiller, quoting him as having said, "You will see that something will become of her." It would be ten weeks before the studio would show any marked interest in her, this mostly at the behest of Stiller and in light of his second series of screentests. "She was especially fond of Seastrom's children," Bainbridge writes, "and brought little present to them." Victor Sjostrom's daughter is the Swedish actress Guje Lagerwall. Begnt Forlund notes that the filming of Anna Karenina had at first been thought for actress Lillian Gish, who in Sweden, Greta Garbo had seen the film White Sister. 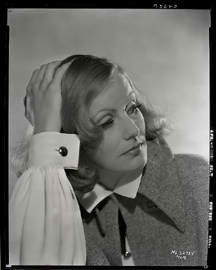 In her autobiography, Gish wrote, "I often saw young Garbo on the set. She was then the protege of the Swedish director Mauritz Stiller. Stiller often left her on my set. He would take her to lunch and then bring her back, and Garbo would sit there watching." John Bainbridge reiterates this while writing on The Torrent, "Stiller did not appear on the set, but every evening he rehearsed Garbo in the next day's scenes, coaching her in every movement and every expression...Stiller delivered Garbo to the studio every morning and called for her every night." He quotes a letter written to Sweden by Stiller, "Greta is starting work for a well-known director and I think she has got an excellant part." Richard Corliss adds, "Though out of her element and seperated from Mauritz Stiller, Garbo gives fine performance, full of feeling and technical precocity. her first Hollywood kiss is one to remember." Swedish actor Lars Hanson attended the premiere of the film and reflected, "We all thought the picture was a flop and that Garbo was terrible...In our opinion it didn't mean anything." Bainbridge makes the observation that Mauritz Stiller and Victor Seastrom were also at the premiere. 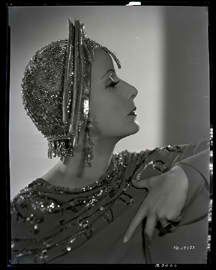 He writes, "The picture did perhaps contain a few imperfections, such as Garbo's costumes." As a biographer, Bainbridge is enjoyable to read in one sense, not only for his prose synopsis of the film, but that he plays a guessing game by quoting a Swedish actress who was then in Hollywood without disclosing her name, the reader to wonder if she was in fact Karen Molander, wife of Lars Hanson who journeyed to Hollywood with him. The accuracy of Hollywood reporting during the Twenties, or Jazz Age, on which Bainbridge seems to base his historical references was admittedly referred to by Picture Play magazine and journalist William H. McKegg in Three Sphinxes, which compared Jetta Goudal, Ronald Colman and Greta Garbo, who, as of 1929, were three people that "puzzle Hollywood" It opined, "Of course rumors have been spread bu those who "know". 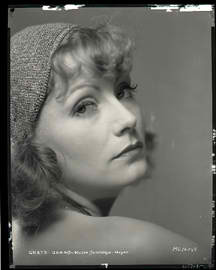 Some say that Garbo was a waitress in one of the open air cafés in the Swedish capital. They add that the poverty and sorrow she underwent made her fearful of life. Only those who have experienced poverty really know hoe cruel human beings can be to one another. some say she was a singer. Who cares? "The subtitle to one section of The Story of Greta Garbo as told to Ruth Biery, published in Photoplay during 1929 reads, "Tempermental of misunderstood". In it Greta Garbo relates the events that led up to her having left the studio for what would only be less than a week, "Then it was for months here before I was to work for Mr. Stiller. I'm r. When it couldn't be arranged, they put me in The Torrent, with Mr. Monta Bell directing. It was very hard work, but I didn't mind that. I was at the studio every morning at seven o'clock and untill six every evening." She goes further explaining that there was a language barrier that would later contribute to Mauritz Stiller being also taken off her next picture, "Mr. Stiller is an artist...he does not understand the American factories. He always made his own pictures in Europe, where he is the master. In our country it is always the small studio." Stiller had in fact written to Sweden to say, "There is nothing here of Europe's culture." It is of note that in regard to Stiller's relationship to the studio, and Thalberg, Lars Hanson has been quoted as having said, "And Stiller, because he could speak hardly any English, wasn't able to explain what he was doing and how to satisfy them. ": it was on the set of The Torrent that author Sven-Hugo Borg was introduced to Stiller, who in turn then informed Garbo that he was assigned translator under Monta Bell's direction. In The Private Life of Greta Garbo By Her Most Intimate Friend, Borg recounts that Bell had turned to him and had said of her, "What a voice! If we could only use it." Of the film he notes, "Of course she was constantly with Stiller, spending every possible moment with him; but thought that when the camera's eye was flashed upon her, (that)the picture would decide her fate began, (that) he would not be there terrified her." Borg continued as the interpreter for Greta Garbo untill 1929. Author Richard Corliss remarked upon the performance in the film by Greta Garbo "Though out of her element and separated from Mauritz Stiller, Garbo gives a fine performance. Her first Hollywood kiss is one to remember...There are to be sure moments early in the film when Garbo works too hard with her eyes; overstating emotions rather than expressing them, dropping nuances like anvils, registering filial devotion...but she grows in the role...by the final scenes..she is utterly convincing as an actress and a star." 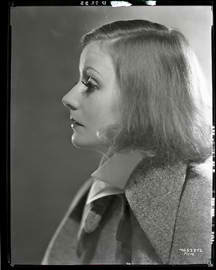 Corliss continues stating that there are flashes of the later Garbo as though she were many-talented and in retrospect it was present but would later develop more fully, "By the end of The Torrent he face seems moPre severely contoured, her eyes more glacially clear, her head lifted upward by the chinstrap of spiritual pride. The phenomena is that of a star creating her own myth within the time-space of a single film." 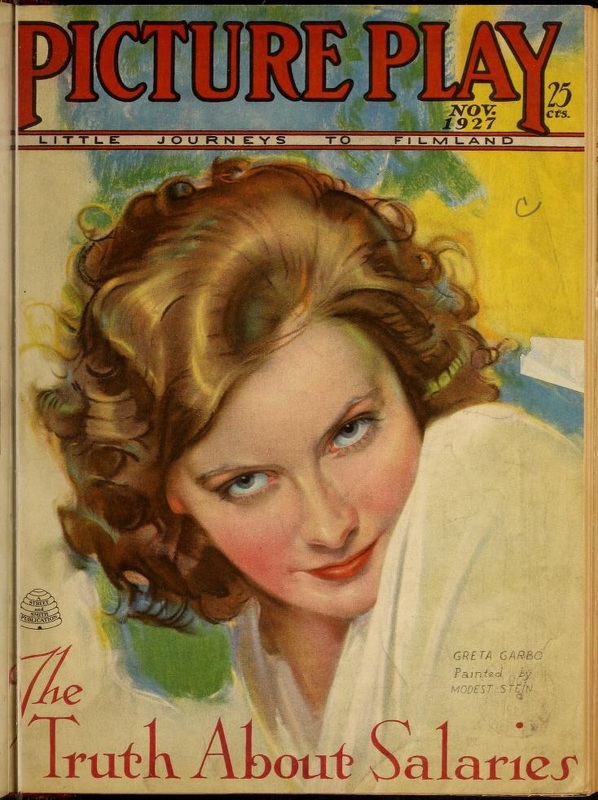 Photoplay magazine quoted Greta Garbo, "Greta Garbo was having her pictures taken by Ruth Harriet Louise. During one of the close up shots her eyes blinked, 'Oh, I'm so sorry, Miss Louise,' Greta apologized, 'But I twinkled.'" 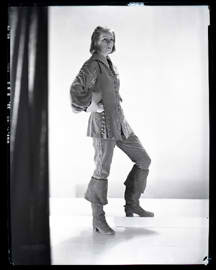 The production stills of Greta Garbo during the filming of The Torrent were photographed by Ruth Harriet Louise. 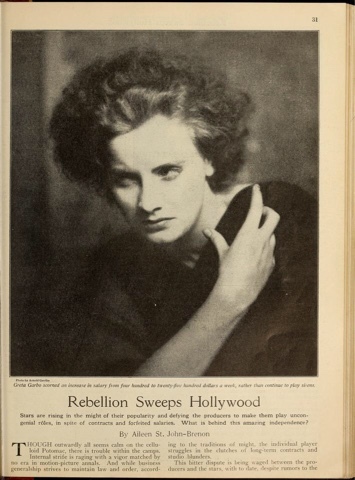 Ruth Harriet Louise had also published an early full photograph of Greta Garbo in Motion Picture Classic Magazine during May of 1926. 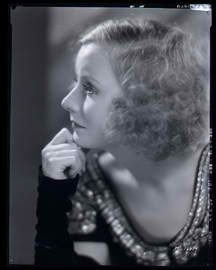 Before photographing Greta Garbo Louise had created her "first published Hollywood image", that of Vilma Banky from the film Dark Angel in the September 1925 issue of Photoplay and during 1926 she contributed a particularly romantic blue-titnted portrait of Pauline Stark and Antonio Moreno to Photoplay from the film Love's Blindness. During 1928 Louise contributed to Screenland Magazine a portrait of Lars Hansen and Lillian Gish, "the lovers in the forthcoming special production The Wind", directed by Victor Sjostrom under the name Victor Seastrom. For those susceptible to the fantasy of Hollywood, it might feel like one of those rare fleeting siI'm at ghtings of Harriet Brown but it in fact that Robert Dance and Bruce Robertson introduce the photographer in their volume Ruth Harriet Louise and Hollywood Glamour Photography. The authors include a photograph of Greta Garbo taken by Ruth Harriet Louise, who had invited her back to her studios for another photo shoot after the filming of The Torrent had come to its completion, late December of 1925. Harriet Brown, now in fact Harriet Brown and company, the owner of the photograph is none other than "senior management and market executive" Scott Reisfield whom, and I quote, "Developed museum exhibit of photographs with the Santa Barbra Museum of Art. The exhibit subsequently was toured to four additional venues. Developed a book published by Rizzoli in conjunction with the museum exhibit." 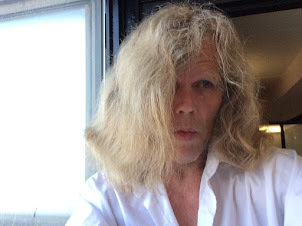 in all honesty, I have not as of yet corresponded with Mr. Reisfield about Greta Garbo, Sven Gustaffson or Guge Lagerwall. The picture of Greta Garbo in a chair seated next to a lion, Garbo photographed outdoors on what at first appears to be a bench and the lion posing with his feet elevated on a log, as it was first published in Motion Picture Magazine during 1926 must have been a publicity test, by a publicity department that may have named her The Swedish Sphinx during the silent era, as it left her not only silent but unidentified, without printing her name; the caption reads, "$10.00 for the best title of this picture." 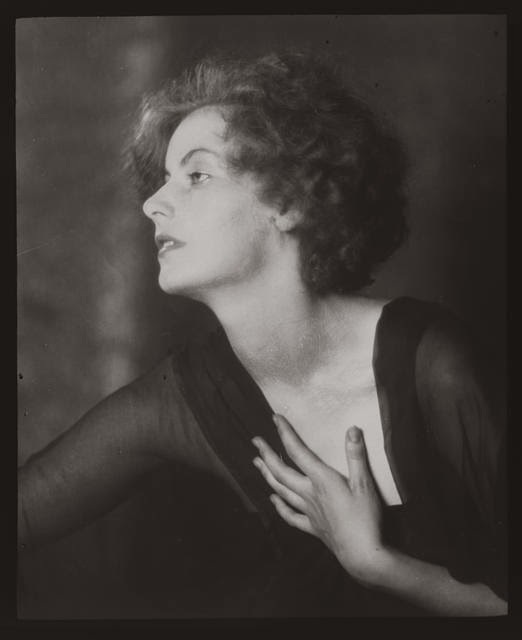 There are twenty three photographs of Greta Garbo taken by the photographer Arnold Genthe in the United States either on July 25, or July 27. Often unseen by the public and for the most part belonging to public domain, the were part of his estate and are presently housed at the library of congress. 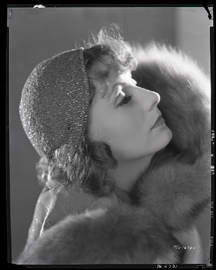 Biographer Norman Zeirold, who used a photograph of Greta Garbo taken by Genthe for the cover of his wonderful volume has written that, "Garbo's plasticity made it possible for her to reflect the fantasies of her screen audiences, in the sense she functioned as a receptacle for the emotions of others." An attempt on the present author to include the subject of Greta Garbo while corresponding with Norman Zierold, now a professor, was mostly unsuccessful. In keeping with the Greata Garbo that was nearly unknown to movies audiences for her personal life off-screen despite its being highly remarked upon by extra-diegetic text, the Garbo that had lurked in the shadows of museum-art-house screenings as a recluse after her retirement, the Garbo that had blindfolded her firing squad as she smoked a cigarrette as though at any time she could be sitting right beside any us us during any of her films while as spectators we made identifications with each interpellated nuance, I added, "These emotional structures are created within each particular film, often by subject and spectator positioning that exploits the combination of tragic seductress, the viewer, and the film's other characters often in relation to her pre-talkie, before sound, body in an objectification of sexual mystery, as when her body within the frame creates space between two other characters in front of the camera, isolating them near a specific visual motif, or when Greta Garbo briefly moves into the emotion of a particular solitude." 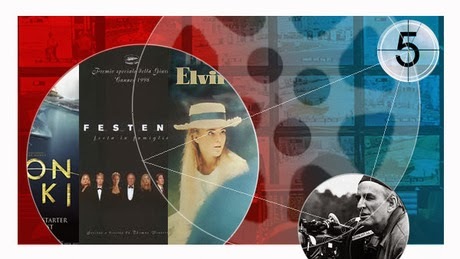 But then clearly, the relationship between character and landscape and its interaction with subject positioning and or spectatorial positioning can also differ widely from one director to another, almost to the point where it includes stylization, as when comparing the film's of Victor Sjostrom and Carl Th. Dreyer- the relation of character to landscape during the appearances of Greta Garbo is a relation, or inverse relation, to modernity within the object arrangements of mise-en-scene and female sexuality. 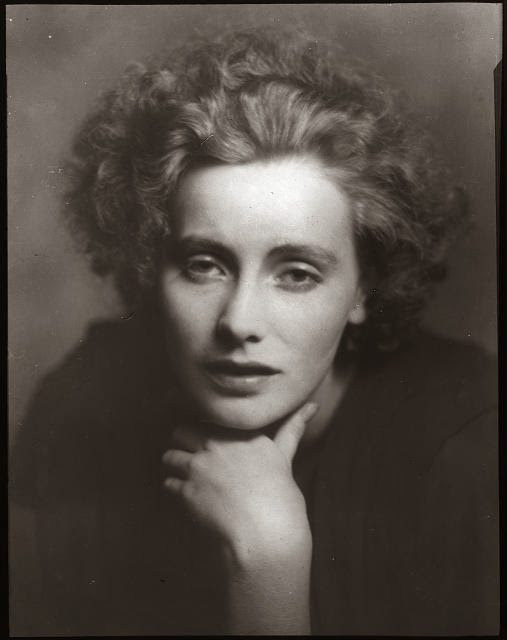 Louise Lagterstrom of the Swedish Film Institute adorned her writing on the arrival of Greta Garbo in Hollywood, "Mot Hollywood", with a photograph taken in 1924 by Arnold Grenthe, almost reiterating Garbo was photographed extensively, often posing as a photo-model for publicity stills before her deciding to live in self-imposed exile. 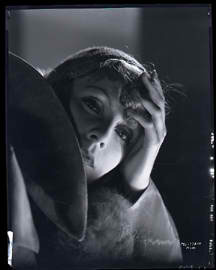 It it clearly for emotion that Garbo posed for the soft-focus series of portraits, almost in as much as the close up in film is used to depict the significant detail of the shot. 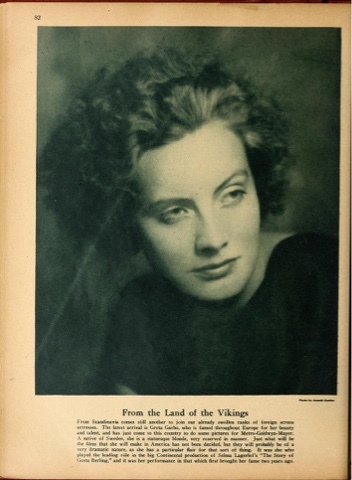 During December 1925, a photograph of greta Garbo by Arnold Genthe was published in Picture Play magazine with the caption From the Land of the Vikings, it announcing that she was the "latest arrival" from Scandinavia, a "statuesque blond, very reserved in manner." Picture Play Magazine during 1927 used a full page photograph taken by Arnold Genthe to figurehead the article Rebellion Sweeps Hollywood, written by Aieleen St. John Brennon, following it within pages by a portrait of Lars Hanson by Ruth Harriet Louise, it's caption noting that he had "amassed a large following since his forceful performance in The Scarlett Letter and now has the title role in Captain Salvation. Picture Play magazine, in a section titled A Confidential Guide to Current Releases, reviewed Ibanez's "Torrent" with "Interesting film introducing the magnetic Swedish actress Greta Garbo to American audiences. Richard Cortez plays the young lover whose mother's influence kills his romance and ruins two lives." The entire review of The Torrent in Photoplay runs as follows: "Monta Bell stands well in the foreground of those directors who can take a simple story and fill it with true touches that the characters emerge real human beings and the resulting film becomes a small masterpiece. Such work has he created in The Torrent and for fans who are slightly grown up, this picture will be a visual delight. 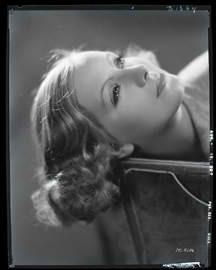 Greta Garbo, the new Swedish importation is very lovely." To provide a timeline, it appears on the same page as a review of The Devil's Circus (Benjamin Christensen). Tucked away in a later Photoplay issue was a more candid reviewer, "Greta Garbo exerts an evil fascination- on the screen. True, her debut was not auspiciously placed in The Torrent, which is in reality a babbling brook that runs on forever, now-she-loves-him-now-she don't until the end of the film and beyond." The reviewer then complements her as being attractive, surveying her eyes, lips and nostrils in, perhaps, a "gender-specific" paragraph. And yet Eugene V. Brewster began the watching of Greta Garbo on the part of Motion Picture Classic magazine with his own secular view, "At Metro Goldwyn Studios they showed me a few reels of Greta Garbo's unfinished picture. This striking young Swedish actress will doubtless appeal to many but somehow I couldn't see the great coming star in her the company expects." Frederick James Smith continued for Motion Picture Classic with Greta Garbo Arrives, "The newcomer is a slumber-eyed Norsewoman, one Greta Garbo, who seems to have more possiblities than anyone since Pola Negri of Passion...She isn't afraid to act. That she was able to stand out of an infererior story, poorly directed, is more than her credit...The Ibanez story is full of claptrap, including the dam that bursts without having anything to do with the story. Monta Bell tossed it in the film form without any apparent interest." It quickly followed with the article, "The Northern Star, The Screen's Newest Meteor is a Moody daughter of Sweden", written by Alice L. Tildelsey, who decidedly felt more at liberty to Greta Garbo than interviewers that came later. She relates that the actress had said, "I love the sea, yes. 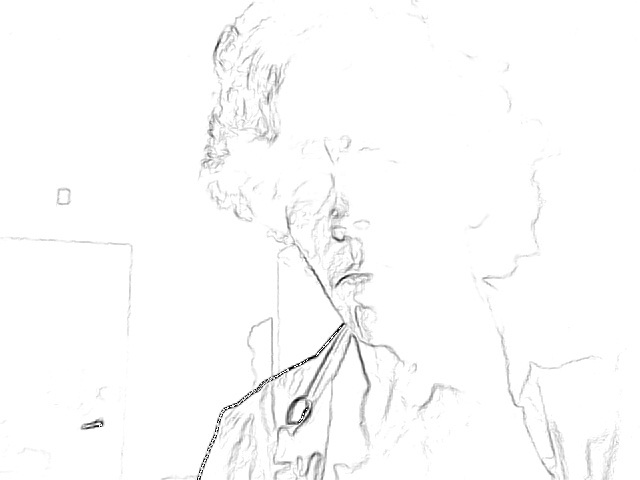 It understands me, I think...it is not happy, it is always yearning for something that it cannot have." Garbo purportedly referred to herself as "poor little Sweden girl" during the interview. "Now for my new picture I must learn to dance the tango and to ride the horse." 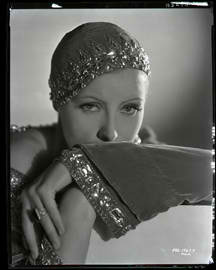 Tidesley refers to Garbo as "a moody young thing, Greta Garbo, with the temperment of the true artist." The article imparts how Greta Garbo was introduced to Mauritz Stiller, who had seen her performing Ibsen and had had her called in to his office. 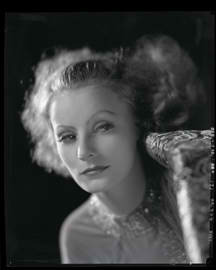 The photograph of Garbo was taken by Ruth Harriet Louise. National Board of Review magazine, although literate, may have remained true to form as it typified the film with, "The story preserves a European atmosphere in which parents still have the least say about their children's marriages." Biographer Richard Corliss fairly accurately assesses Greta Garbo's first of several silent films, "Not only does it prefigure many of the morals and motifs of her later pictures, but it avoids many of those films pirouettes into the ludicrous. All things considered (the times. the material, the studio, The Torrent is a suprisingly adult piece of work." While reading Corliss the reviewer as essayist, there is a slight temptation to see him presenting the synopsis of each story and the characters as being antiquated, that it is a reevaluation of our film and its incidents but, written while it was a given that Garbo was leading a solitary life, it is kept within Garbo being a mystery, that if the stories were outdated, they could be looked at with curiousity and inquiry, as the fantasies they were meant to be, and in that way the reviews of Richard Corliss only contain a hint of being outdated in their being questioning without necessity. To compare and contrast, if Corliss is writing about the versatility of Greta Garbo, John Bainbridge reverberates the sentiment, "What was to become known as the Garbo manner was but faintly discernable in The Torrent, but there were intimations." Bainbridge seems to keep his secret that much of the material for his biography was derived from fan magazines, albeit he conducted interviews. 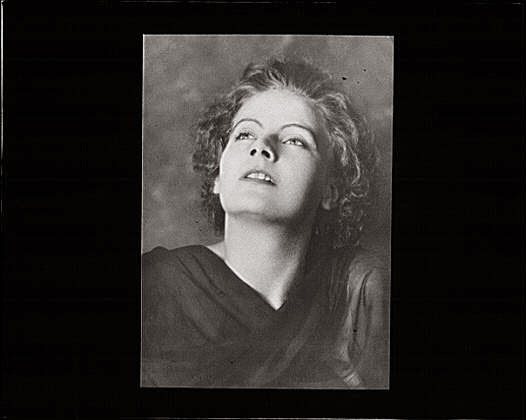 Biographies on Greta Garbo the sensation began to appear, almost in droves, as soon as the actress had spoken in sound film, many explaining how she reached the screen in Hollywood in the first place while adding spoonfuls of data about Mauritz Stiller. This was to nearly culminate in 1938 with Modern Screen's 15 pages of biography, The True Life Story of Greta Garbo, written by William Stewart. It summarized, "The picture was The Torrent, originally slated for Aileen Pringle but given to Garbo as a test of her ablility...It pleased her, but for final praise she awaited Stiller's word. "It is good. ', he said, and those three encouraging words were sufficient." In that being bilingual played a part on Stiller's dismissal from M.G.M, there is an interesting quote from John Bainbridge's biography, "Her inability to speak English prevented her, even if she had wished, from mixing easily with the other people on the set. In spare moments at the studio she was being tutored in English by an interpreter who had been assigned to translate her. 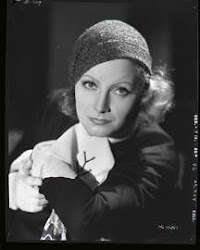 She also practiced English with her chief cameraman, William Daniels, with whom she struck up a pleasant and lasting acquaintance, 'I didn't teach Garbo to speak English,' Daniels has remarked, 'but we used to talk a lot and I would correct her on certain things. We understood each other, and talked about things we both knew- movie talk." 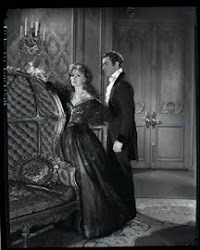 Motion Picture News during 1926 gave the title to the film as "Ibanez' Torrent" The Exploitation Angles were given as "Feature Ricardo Cortez and Greta Garbo. Tell patrons about the letter's European success. Bill as strong emotional drama. Stress flood episode." The Production Highlights given for the film included the talent of actress Greta Garbo and "Spectacular Flood scene and unusual climax". Rilla Page Palmborg, author of the biography The Private Life of Greta Garbo, described the premiere of "The Torrent" in California, "No one noticed Garbo as she and Mr. Stiller quietly slipped into seats at the rear of the dimly lighted house. No one saw them steal out of before the picture was finished. 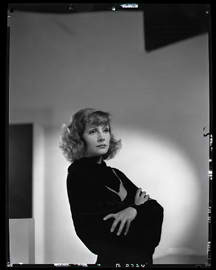 At the first picture Greta Garbo made in Hollywood she set the precedent of never appearing publicly at any of her pictures." Victor Seastrom Swedish Silent Film More properly the headlines should read, "Garbo Talks, Seastrom Returns Home." Victor Seastrom, who had worked in the Swedish theater before pioneering in Swedish Film, returned to Sweden with the advent of the sound film, not to direct, but to act. As in Hollywood, the exterior of the Swedish landscape that had established Sjostrom, Stiller and Molander during the golden age of Swedish Silent Film, had taken the innovation of sound back to the proscenium arc of the interior with Molander managing the transition to dialogue centered films. While writing about the film Wild Strawberries, director Jorn Donner notes that Ingmar Bergman's film is in part a tribute to Victor Sjostrom the director,"Many scenes have a tie-in with Victor Sjsotrom's work. A smashed watch plays a part in Karin Ingmarsdottar." Scott Lord on Greta Garbo- Silent Swedish Film, Silent Greta Garbo. Simple theme. Powered by Blogger.